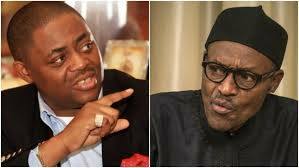 An Ex-Aviation Minister, Femi Fani-Kayode has alleged that President Muhammadu Buhari and his cabal, are stealing funds from the Nigeria National Petroleum Corporation (NNPC), to fund his 2019 presidential campaign. Fani-Kayode tweeted on Wednesday evening: “Ibe Kachikwu does not appreciate the fact that to @MBuhari and his tiny cabal of ethnic supremacists pillaging 26 billion USD from the Northern (sorry “Nigerian”) National Petroleum Corporation (NNPC) is nothing. The Nigerian Senate on Wednesday, set up a panel to probe the Group Managing Director of the NNPC, Dr. Maikanti Baru. The panel was set up, following allegations made against Baru by the Minister of State for Petroleum Resources, Ibe Kachikwu, in a petition to President Buhari.